One of these batteries, gets placed in this holder, and after some slight modification (taking the sharp edge off the corners) to allow it to fit, it goes in here. Of course, you would need to wire the holder to your soundcard, but foam is not needed for the battery in this setup (using the 18650 and the holder). If you would like to secure the soundcard, double foam tape can be used, if you wish. For some reason, I can’t attach a pic using my phone. I’ll edit and post the pic from my pc. Sorry, I wasn't being clear. 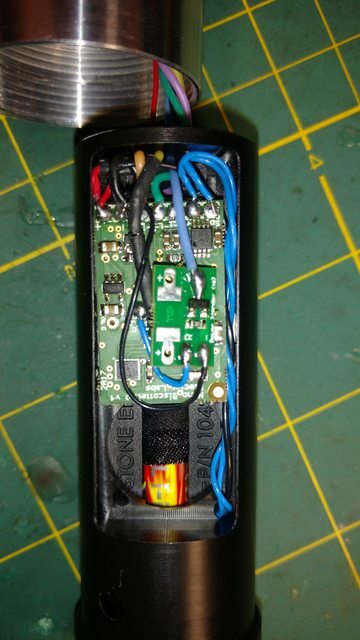 I meant to ask if it's possible to place one of the non replaceable, PCB protected, rechargeable Li-ion battery modules (the ones used in conjunction with a recharge ports, ideally the 18650) within the V6 speaker mount? If that's the case, then you would leave out the holder and just place the battery in the chassis? Starting to plan my next build and I really liked using the V6, but I want to try a recharge port on the next one. There are metal plates on each end of the 18650 holder. 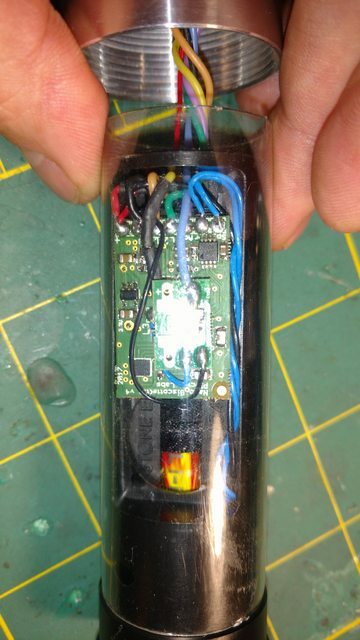 You remove (slide them off) and you can just fit an pre-wired, protected 18650 (the black wrapped battery with the JST connector, sold in the store) in the holder. So yes, you can use the holder, in lieu of double sided foam tape with the battery, holder, and in the Speaker Mount v6. Ah! Got it. Awesome! Thanks bigkevin! Finally had to take a chassis out to change the battery, and fired a few photos of how I wire NBIV and PEX in a V6, not as pretty as Modulus' mind you, I'm about function over form. Maybe I need to worry a bit more about form and hiding the wires, but I like seeing my connections, therefore I can instantly diagnose if there are any issues there. Is the PEX just laying on top of the NBIV or is it attached in some way? Here are my pictures of my V6 setup. No foam under the NBv3 (that version has an onboard PEX for the FOC). I love this version for that reason! Last edited by bigkevin61; 04-16-2018 at 07:23 PM. There is a bit of electrical/heat insulation between the 2, but yes, right on top. I have also done it over the solders on the NBIV. This NBIV needed the PEX, because its an RGB saber. You can do a lot of cool color stuff with NBIV without the PEX, but this one needed to be color changing...or have different colors for each bank, thus the PEX.